Like the big yellow light up signs in front of stores and other buildings, only smaller! Great for holiday and special occasion messages; or everyday sayings. 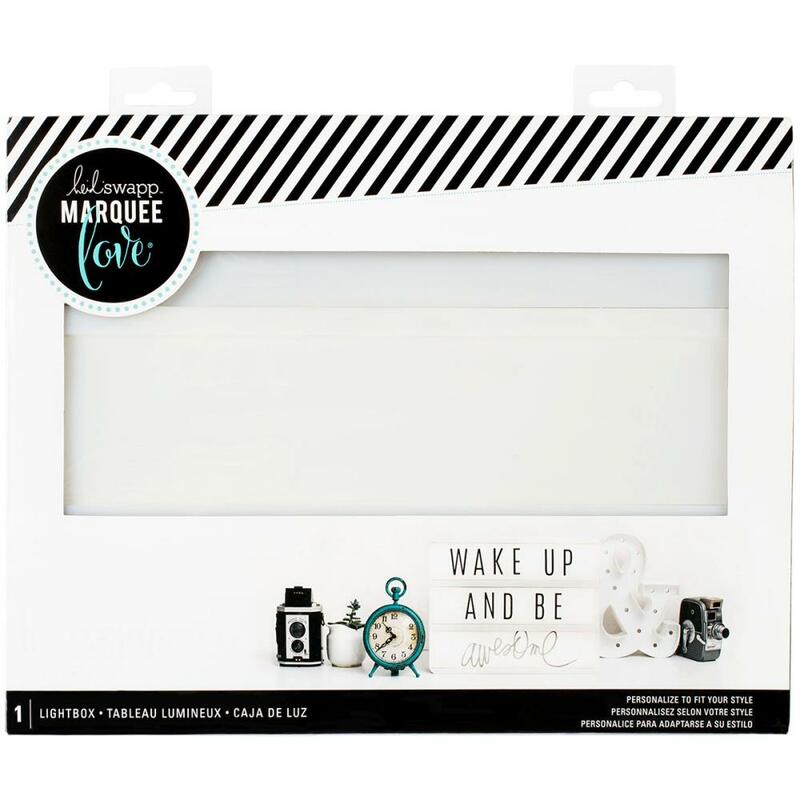 Embellish this marquee with decorative tape to coordinate with home decor. Add letters, numbers, inserts and word strips to make a statement (supplies sold separately). Includes a USB charging cord and is operated with a simple on/off switch; or (3) C batteries.